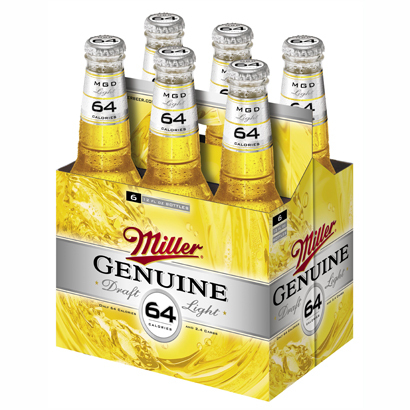 MGD 64 is everything you love about the original genuine draft—same great taste as well as the same cold filtration formula used to keep it pure but with fewer calories and carbs. Using only the purest water and highest quality hops and barley, this brew is never exposed to heat, capturing the fresh from-the-tap taste in every bottle. With only 64 calories and less than three grams of carbohydrates per 12-ounce serving, this beer is loaded with taste but not over-loaded with extra calories or carbs. Visit the Miller Coors website.